Chess Engineering is firmly established as a quality steel fabricator, manufacturing to exacting Australian standards of quality and safety. We conceptualise, design, manufacture and install all steels including bisalloys, stainless, aluminium and titanium. Our capacity and technology covers an array of markets including specialisation in rail rolling stock and track, infrastructure (road & rail), food and beverage, mining and architecture. For custom metal fabrication, contact Chess Engineering for expert advice and tailored solutions. With strict adherence to industry protocols, we place emphasis on using our own ERP system, which allows us to fully and seamlessly track jobs, from the enquiry stage all the way through to the final delivery docket. 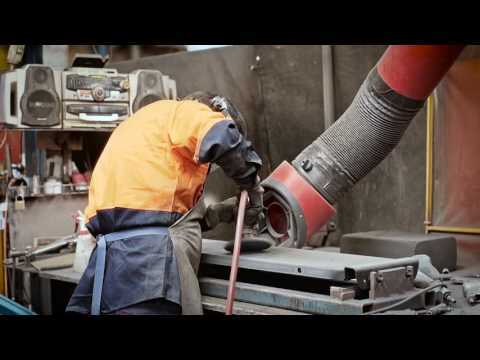 As a reliable engineering business with a broad range of practical abilities, our business is fully equipped to deal with all your metal, stainless steel, exotic steels and aluminium fabrication needs. Our purpose-built facility was designed, and is equipped, for superior engineering, and to supply the highest level of quality steel fabrication services. As mechanical engineering aluminium, alloy and stainless steel fabricators, machinists and fitters we understand the need for comprehensive on-site and in-house engineering services in the various industrial sectors. For precision metal fabrications our general capacity is up to 300 tonnes per week in Sydney, while Perth can manage up to 500 tonnes per week on current shift structures. Contact Chess Engineering for enquiries regarding metal fabrication services.